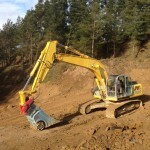 Border Stone Quarries is a family run company based in Haltwhistle, Northumberland. 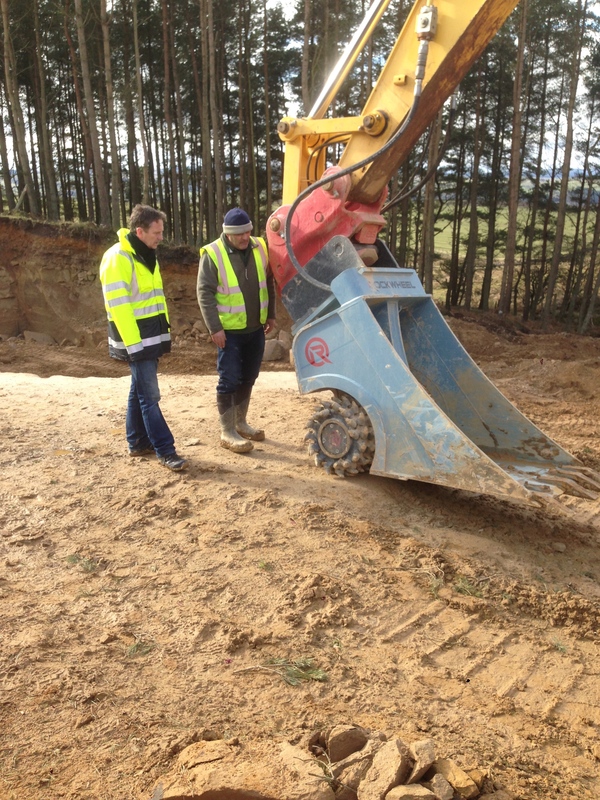 Established in 1996 they combine modern machinery with traditional masonry skills to supply stone for all sizes of building projects. 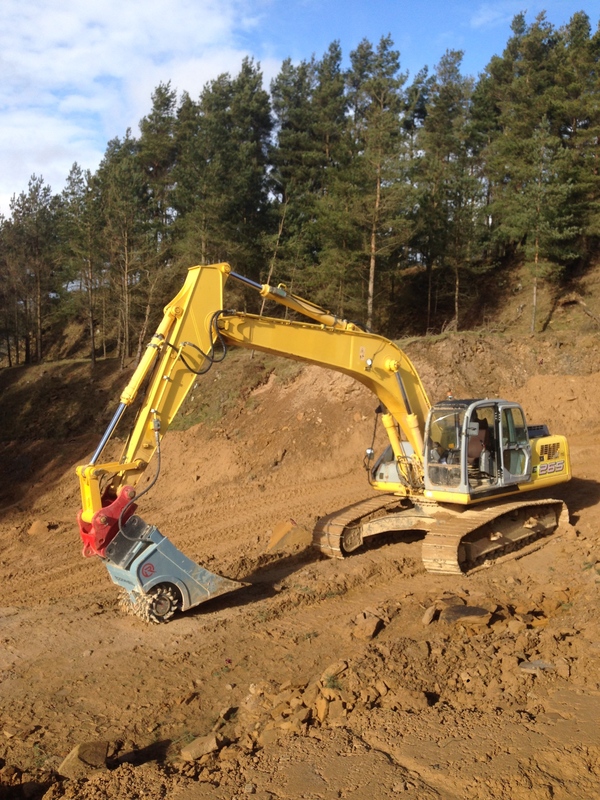 Border Stone are successfully using our new Cutter Bucket so we took a trip up to Northumberland to see it in action and hear how it was helping them in their business. Q1. What are you using the cutter bucket for? A1. We use the cutter bucket to file and shape the blocks or rocks before we send it off to be sawed. Q2. Have you had any previous experience with something like a cutter bucket? A2. I’ve been looking for something like this for a long time. Before we used a standard bucket with standard teeth. The picks on the cutter bucket enable me to grind the rocket much more effectively and achieve a better quality finish. 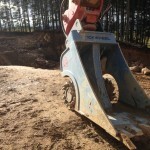 The rock is much easier to handle and the multifunctional design means I can cut and move the rock around the site without the need to change attachments. Q3. What’s the biggest benefit you’ve had from using the Cutter Bucket? A3. It’s definitely being able to move and shape the rock with the same attachment it saves me lots of time, the side picks of the cutter are also an advantage. It means I can trim the sides of the blocks without much movement of the bucket. Q4. How did you hear about the Cutter Bucket? A4. 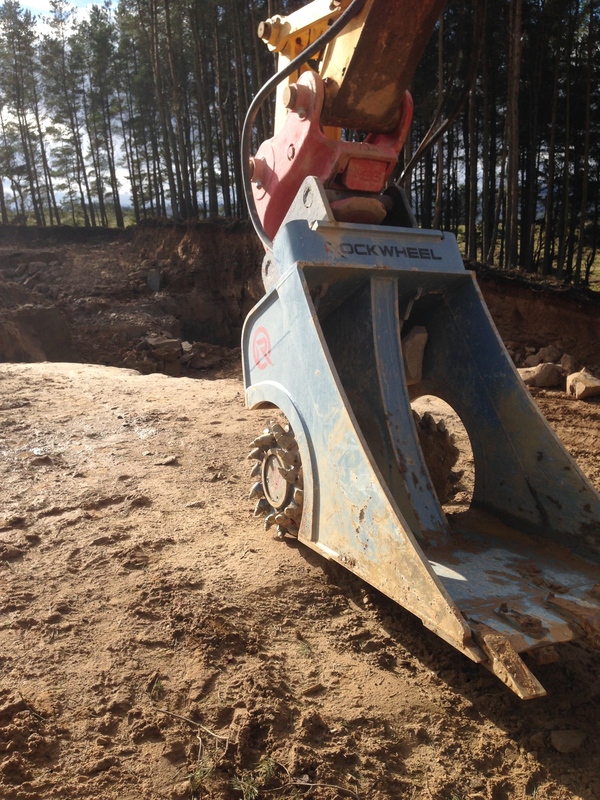 I saw a Rockwheel attachment at the Hillhead exhibition on the JCB stand and thought the idea of combining it with a bucket would be perfect and then saw on your website that you’d developed one.